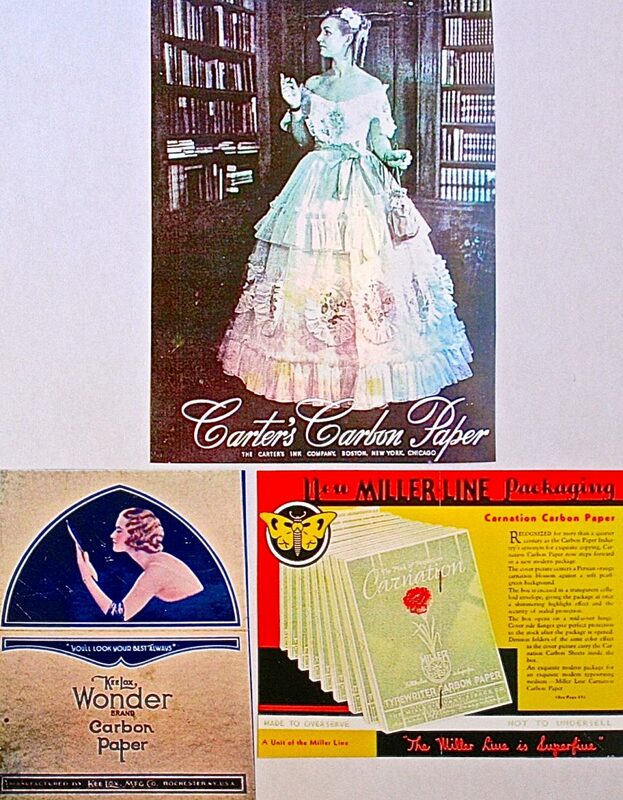 Carbon Paper Boxes are quite collectible because of their graphics which are often very colorful and informative. Most boxes are 9″ x 11″ in size. Be advised that they are quite heavy if filled with carbon paper and are fairly expensive to ship. This is another category that is very large but only 30 are pictured here.